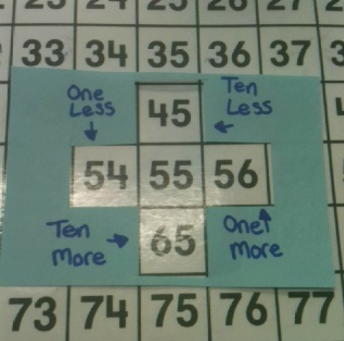 Above is a handout used to scaffold student work with fraction word problems (more on this below). 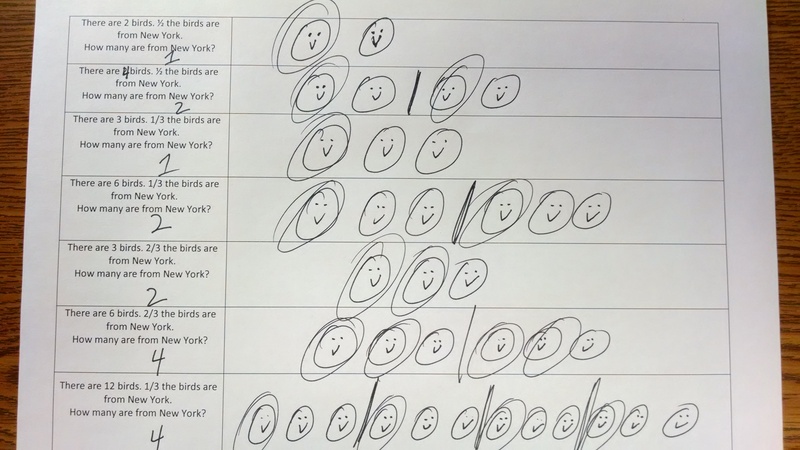 Here is a type of word problem I recently encountered in working with a student with special needs: There are 60 students. 3/5 of the students are girls. 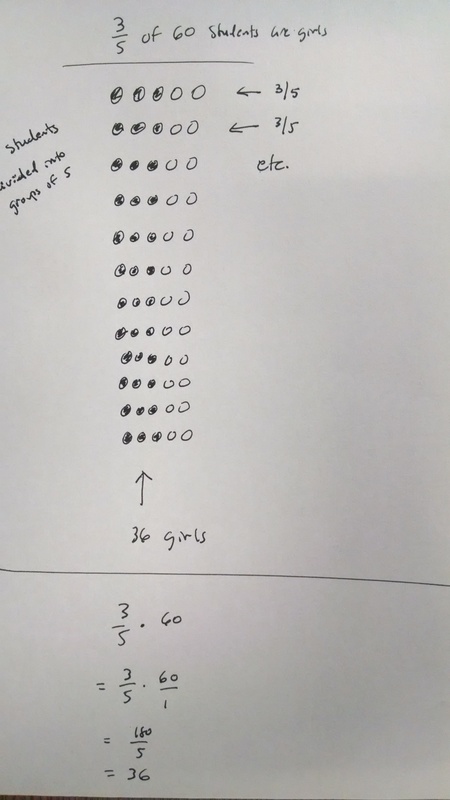 How many students are girls? The student struggled with this problem in regards to the concept of fractions and in determining a fractional amount of a total. 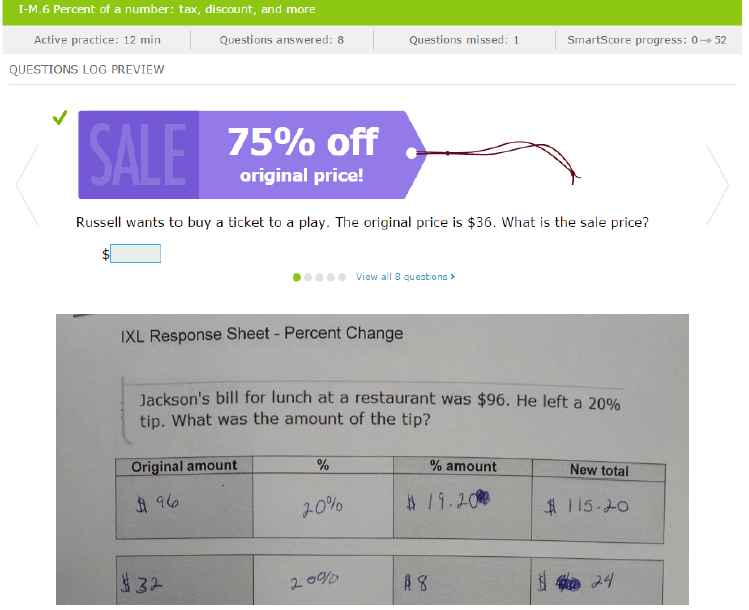 To address the concept of fractions I used the handout seen in the photo above. 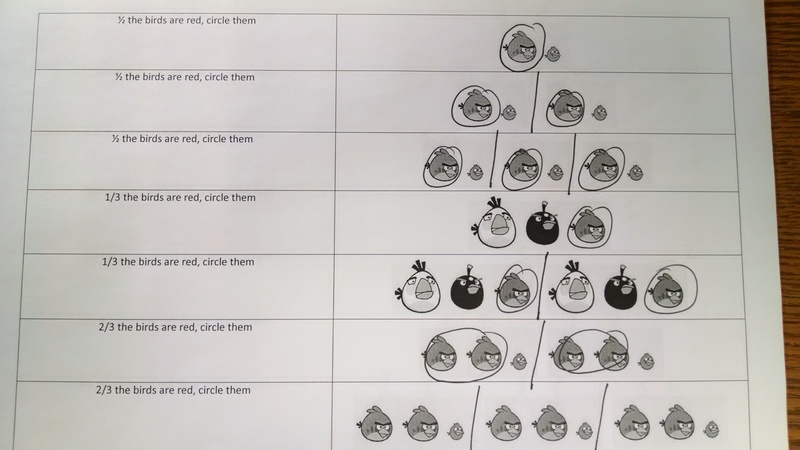 (The handout can be printed in color to show the actual colors of the birds – see this handout.) 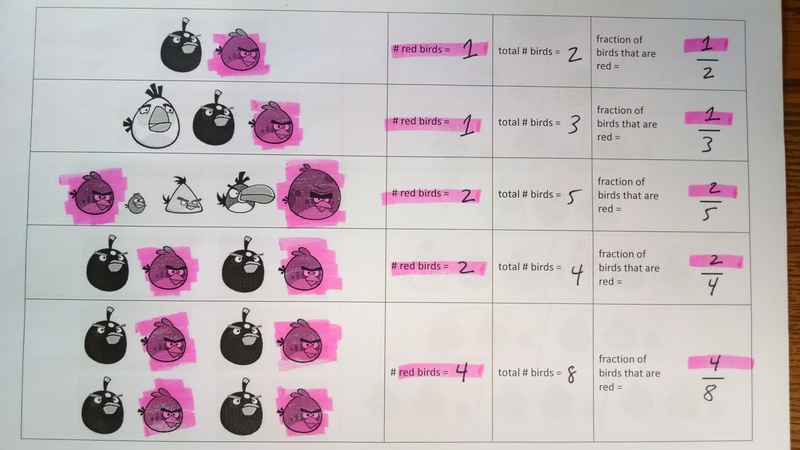 A pink highlighter (red is too dark) is used to help the student connect the actual red birds with the number of redbirds used in writing the fraction. 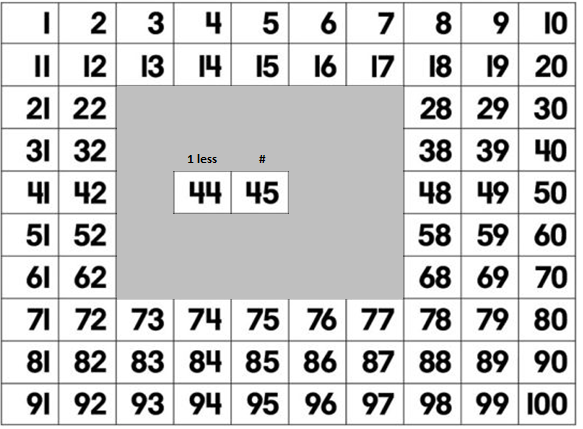 Break the all the items into groups based on the denominator, in this case it is groups of 5. 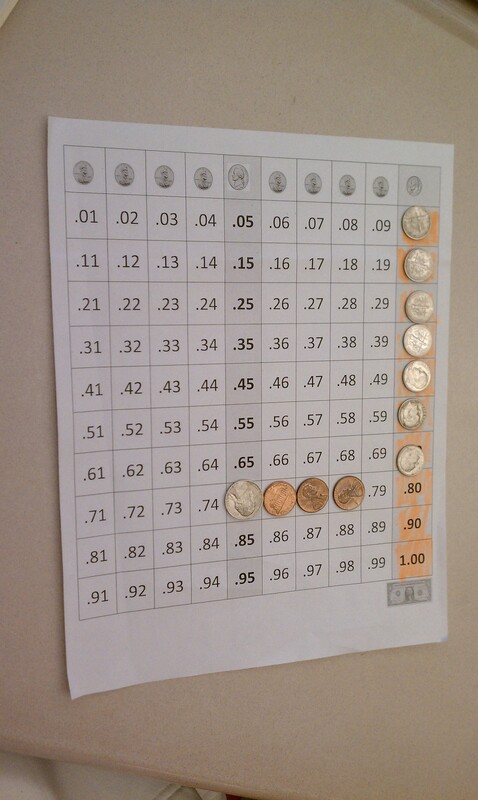 Mark the fractional amount in each group, in this case mark 3 of the 5 circles. 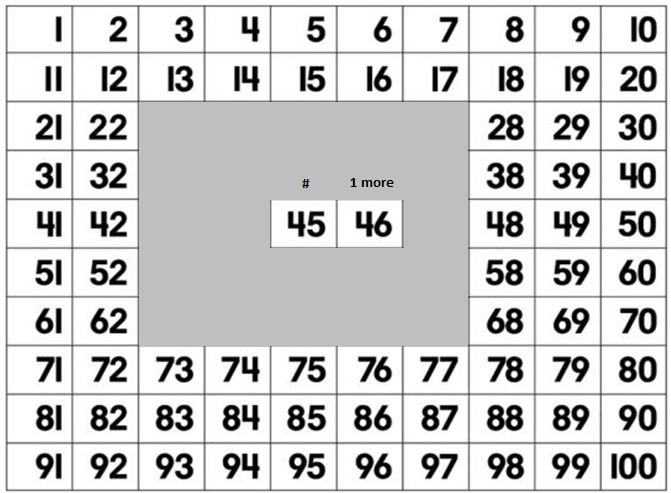 Find the total number of circles marked in. 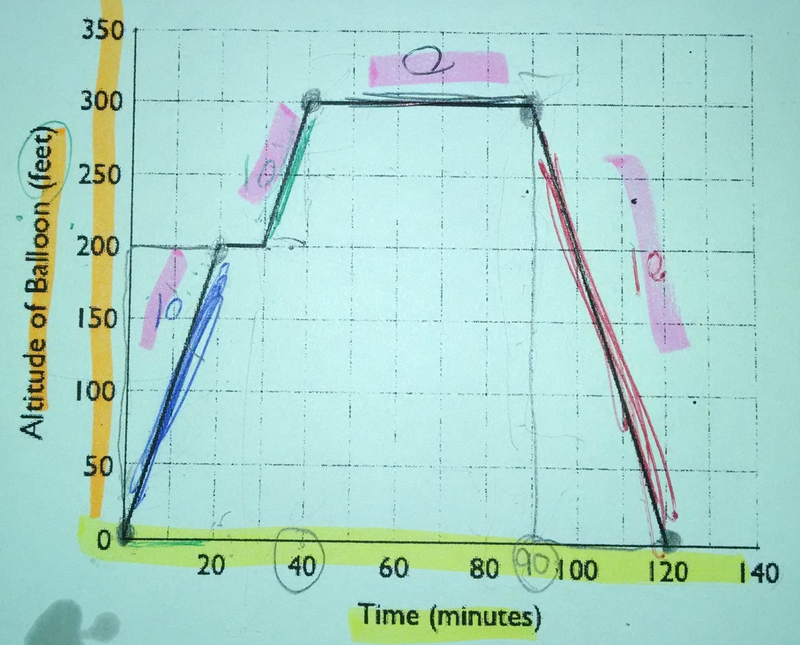 To scaffold this approach I use a task analysis approach and break the strategy into steps. 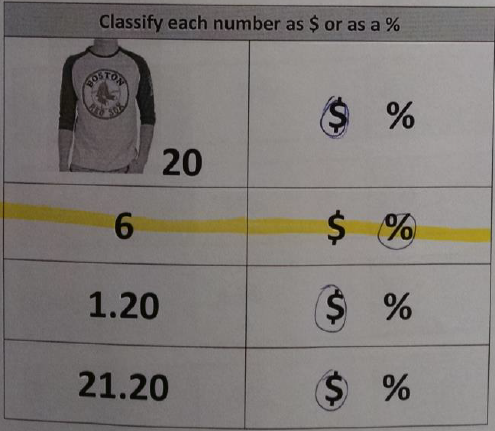 First I use a handout focusing students on circling a fractional amount in each group – see photo below. 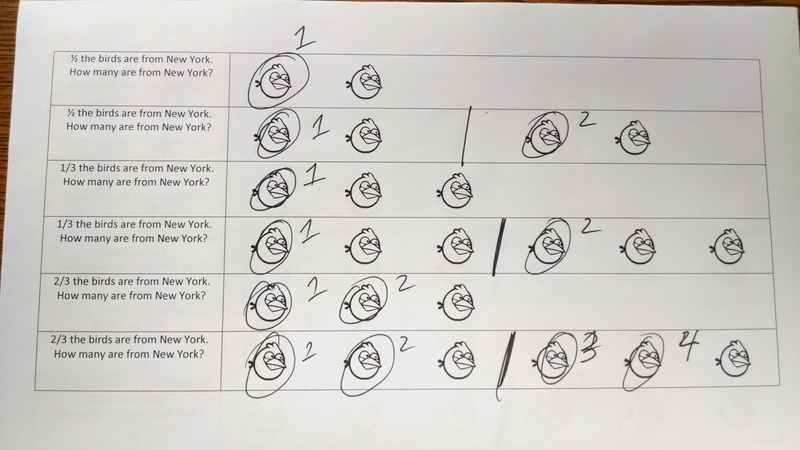 The next step is to count the number of items circled (or marked). 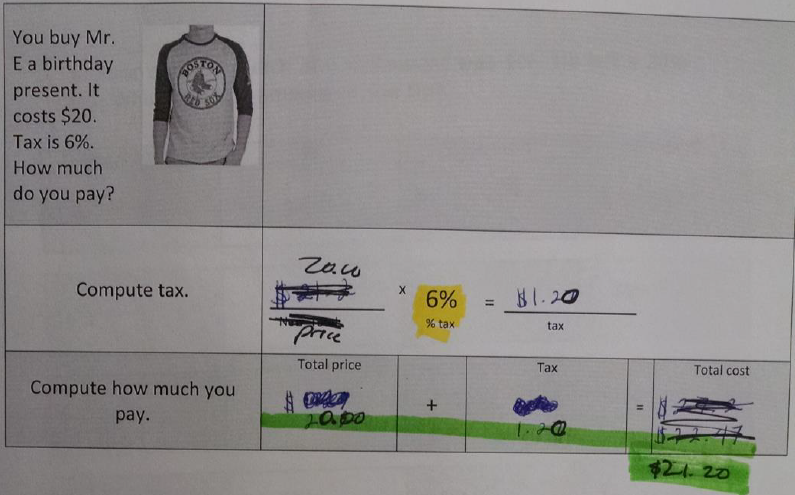 The next step is to use a situation where the items to circle are not colored (the circles in the student word problem are not colored but are hand drawn figures). In the photo below Students are tasked with circling and counting. 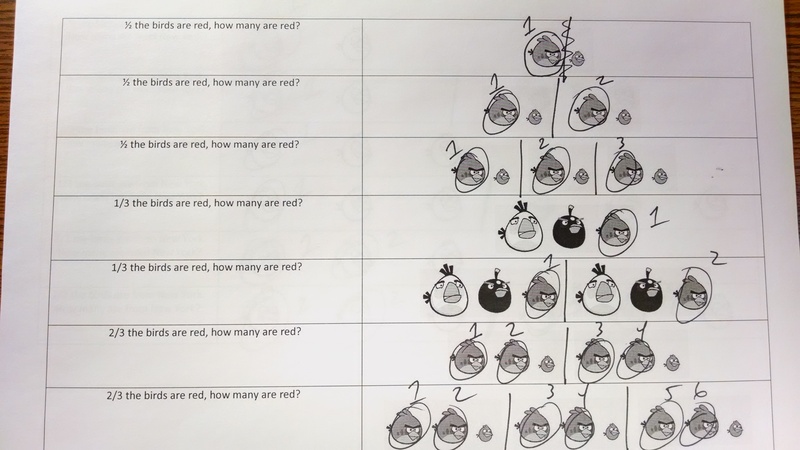 Then students take the next step is to answer the question to find the total number. 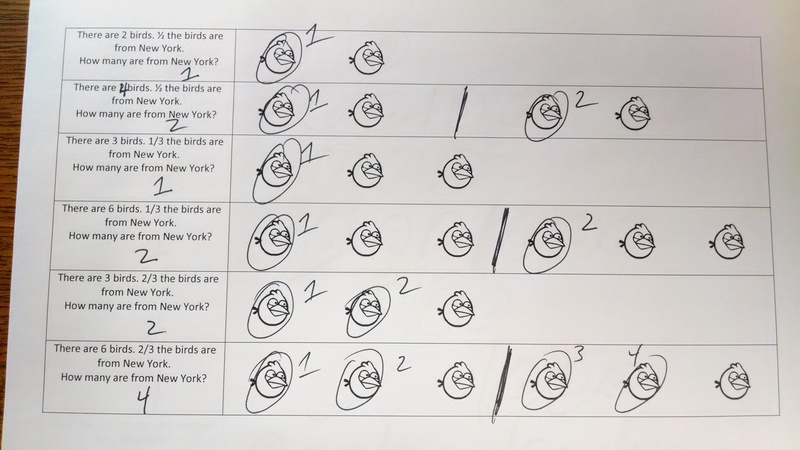 Finally, students are tasked with creating their own drawings before circling and counting.